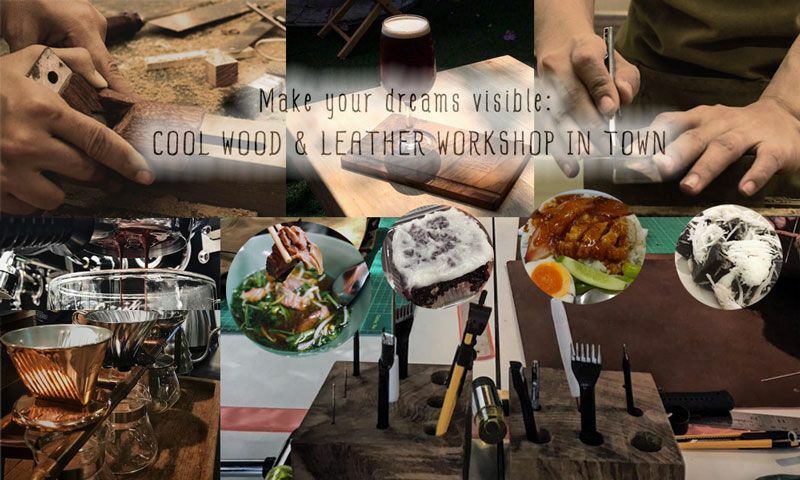 HomeBangkokMake Your Ideas Visible: Cool Wood & Leather Workshop in Town! Make Your Ideas Visible: Cool Wood & Leather Workshop in Town! Want to make you artsy-fartsy ideas come true? Let's have a wonderful time making wood and leather products! But it's not just that. You can get freshly brewed coffee at Hidden Gems Cafe as well as enjoying fantastic Thai street food and desserts! The army marches on its stomach. Let's start with some marvelous street food and Thai desserts! Get freshly brewed coffee at Hidden Gems Cafe. (One of the best cafes in town!) I assure you that you'll love the atmosphere of this place! Have a delightful time making wood and leather products. The methods described here are simple to follow and can be easily built once you start. The hip environment gives you a relaxing vibe as you are working through it. I don't deliver a trip. I deliver an experience. Let's share a good time together!